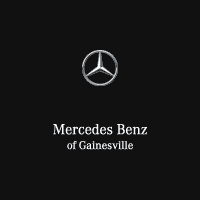 Mercedes-Benz of Gainesville is proud to carry brand-new Mercedes-Benz models. Drivers in the Gainesville area who are looking for the highest expression of German luxury can find it right here. The current model lineup from Mercedes-Benz is sportier and more technologically advanced than ever before. Check our Online Inventory to see which models we have in our showroom. We are always receiving new Mercedes-Benz vehicles from the factory, so our selection is always changing to better meet the tastes of drivers in Gainesville. If you have your heart set on a new Mercedes-Benz model, our dealership in Gainesville is the premier destination in the area. Come in for a test drive today. In addition to our inventory of new Mercedes-Benz vehicles, we have many Certified Pre-Owned Mercedes-Benz Models and Used Vehicles from other major manufacturers. Our website lists our current inventory of Certified Pre-Owned and used vehicles just as it does our new vehicles. As an authorized Mercedes-Benz dealer, we have a wide selection of Certified Pre-Owned models. All of these vehicles are inspected and reconditioned to like-new condition. Once this process has been completed, the Mercedes-Benz model is protected with a limited warranty from the factory. There are many Benefits of Buying Certified Pre-Owned at our Gainesville FL car dealership, Mercedes-Benz of Gainesville. We also have pre-owned vehicles from Mercedes-Benz and other manufacturers. Many of the models in our inventory are late-model, low-mileage luxury vehicles. Our pre-owned inventory makes genuine luxury more accessible because Mercedes-Benz of Gainesville offers Market Based Pricing. Browse through the Certified Pre-Owned and pre-owned vehicles at our Mercedes-Benz of Gainesville, FL car dealership today. Our dealership in Gainesville has a trustworthy Mercedes-Benz Finance Center to give prospective car buyers the options they need to get into the vehicle of their dreams. Our staff is highly experienced and can help you through the sometimes-complicated process. If you’d like, you can get the process started yourself by completing the Financing Pre-Approval Application on our website. Meet with the experienced and well-connected staff at our Mercedes-Benz finance center today to evaluate your finance options. At Mercedes-Benz of Gainesville, we also have a factory-authorized Service Center on site. All of the technicians at our service center are certified by Mercedes-Benz to work on the current lineup and models from years past. We’re also happy to work on vehicles from other major manufacturers. Our Mercedes-Benz service center also offers guidance with the Mercedes-Benz A Service and B Service your vehicle may need. Drivers who need anything from oil change service for their Mercedes-Benz C-Class, auto repair for their Mercedes-Benz GLC, or any other maintenance for their vehicle are welcome to bring their vehicles into the Mercedes-Benz of Gainesville service center or Schedule an Appointment today. Drivers in Ocala, Orlando, The Villages, and elsewhere in the Gainesville, FL area can visit Mercedes-Benz of Gainesville today to find their dream car or to get their vehicle the service it needs. You can set an appointment through our website without having to leave your house or if you find yourself in the neighborhood, you can simply drop in during our business hours. Mercedes-Benz of Gainesville offers a unique pickup and delivery service to our drivers in The Villages, Ocala, Lake City, Hernando, Summerfield, Beverly Hills, Inverness, and the surrounding areas. All you have to do is make an appointment, and we’ll send a driver in a loaner vehicle to pick up your vehicle. You’ll be able to drive the loaner vehicle until your vehicle is returned to you. However, we do ask that your vehicle is handed off with enough gas to get to our dealership in Gainesville and back. Visit Mercedes-Benz of Gainesville today!